The 1928 edition of “Hunting in the United States and Canada” by Higginson and Chamberlain, has a unique account of the Artillery Hunt at Fort Sill, Oklahoma. It’s included in this blog post for the enjoyment of fox hunting history buffs. “A far back as the days of the Indian Territory, before Oklahoma became a State, packs of hounds were kept and hunted on the Fort Sill Military Reservation and on the Indian lands in the vicinity of the Wichita Mountains. In those days the howl of the coyote kept many a soldier awake, and hounds were used to run their kinsman of the prairie. Some of the old residents in the vicinity remember and relate interesting incidents connected with the different packs that were kept and hunted in those bygone days, and even individual hounds are remembered and lauded by these old-timers; while packs containing excellent hounds have been maintained at different places, and meets of combined packs staged at various times and places for many years. Just exactly when the Artillery Hunt was founded is not known, but it was sometime prior to 1917, for on the Reservation at Fort Sill packs were maintained off and on—sometimes private, sometimes regimental—both officers and men deriving a great deal of pleasure from riding to hounds in this far-away Army station. At the beginning of the World War, two regimental packs were being maintained at Fort Sill, but as all energy at this station was then being devoted to methods of improvement of artillery fire, there was little time to devote to the pleasure of riding to hounds, and the packs, naturally, deteriorated, so that at the end of the war only a few of the old hounds were left. Coyotes became less plentiful on the reservation, and while hunting was again taken up, it was not followed with the same interest as before the War. However, in 1925, two lovers of the hound, horse, and chase, by accident of the Service, were thrown together at Fort Sill—Major D. W. McEnery, who had been Master of the Cavalry School Hunt for several years; and Major G. M. Peek, who had been an Honourary Whipper-in of the Coblenz Hounds, with the Army of Occupation, in Coblenz, Germany. These officers started to reorganize the pack and revive interest in the chase; and in June, 1926, the Artillery Hunt was reorganized, under the following officers: Colonel C. B. Herron, President; Major George M. Peek, M. F. H., hunting hounds himself; Major I. T. Wyche, Secretary; Lieutenant E. M. Taylor, Honourary Whipper-in; and Lieutenant M. M. Potter, Honourary Second Whipper-in. 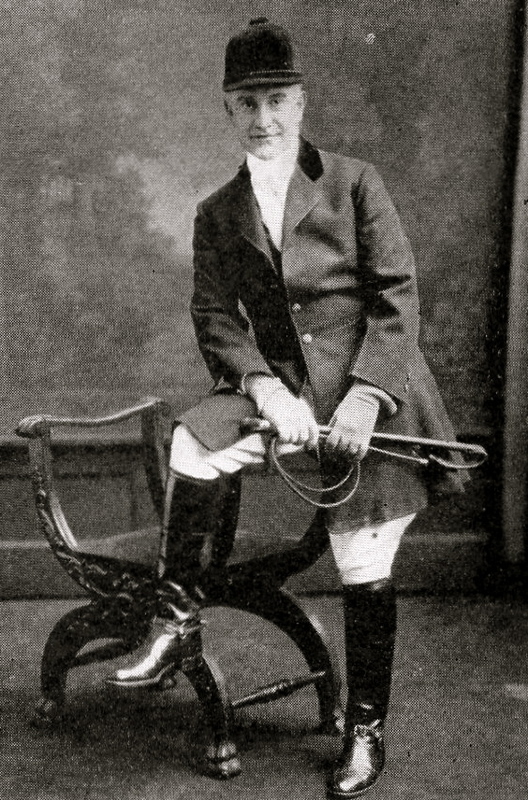 The Hunt was recognized by the Hunts Committee of the National Steeplechase and Hunt Association in January, 1927; and the Master was admitted to membership in the Masters of Foxhounds Association of America. The same pack is used for drag and to hunt coyotes and foxes, the former being plentiful and indigenous, but the latter being imported, and hounds go out regularly on Wednesdays and Sundays, from September 1st to April 1st. The country is varied, almost any type of going being found within fifteen miles of the kennels. The Wichita Mountains afford good hunting in rough country, while to the east is rolling prairie, cut by a number of streams. Excellent coverts or game are found in the stream beds and mountains and the Reservation is so large and includes so much hunting area that the terror of the huntsman—the barbed-wire fence—does not enter into the picture; in fact, practically no fences are found, but brush hedges and streams furnish quite formidable jumps, and wide ditches fringed with bushes, and gullies, add to the excitement of the chase. Large-boned thoroughbreds are best suited to this country, and a number are bred in the vicinity, at the United States Remount Station, at El Reno, Oklahoma. There are also a number of Government stallions throughout the state. 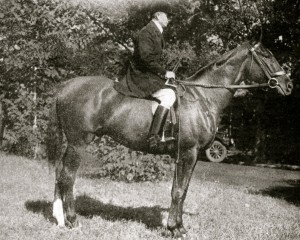 In September, 1927, Major Peek was ordered away and was succeeded in the Mastership by Major Ira T. Wyche, who is now carrying on along the lines already instituted by his predecessor, with whom he has been in close cooperation since the organization of the Hunt, which has become very popular among the members of the garrison. This consists of some three hundred officers and their families, three battalions of field artillery, one battalion of infantry, an air service and a school detachment. Excellent kennels have been constructed, and the Hunt being now under efficient management and control, large Fields are present at all meets, whether to hunt live game or drag. An annual horse show is held at the Field Artillery School, and hunter classes are given great prominence, special attention being paid to mounts suitable to become hunters and performance of Hunt Teams. Shows are held at other places throughout the State, and at all of these Hunt Teams from the Artillery Hunt are competitors. As all the energy of those in charge has been centred on building up the hunting, little or nothing has been done to inaugurate steeplechases or the Point-to-Point racing, although it is planned to organize this latter feature in the near future. The organization of this Hunt is young as yet, but the members hope soon to be on a footing where it can compete with its cavalry brothers in these sports. Sorry Rebecca but we do not have that information.